900 miles, 2 hours of sleep, and a few keepers! 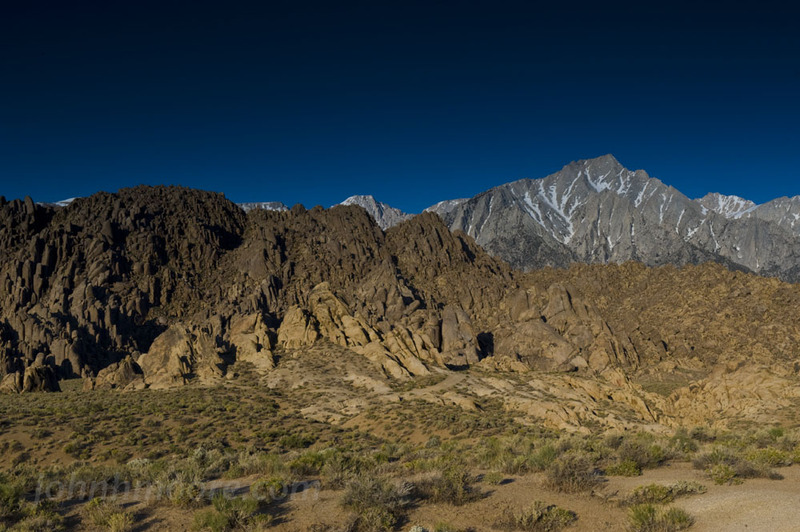 I had to be in San Diego until noon on Thursday, and again at noon on Sunday, and wanted to get out of town… so decided to do a quick run up Highway 395 to the area around Bishop. 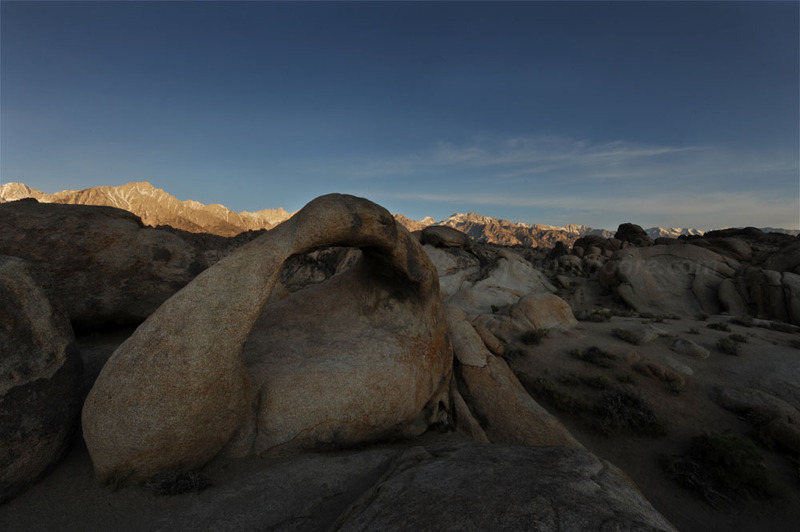 Got to Lone Pine and the Alabama Hills around 5:30 PM, in time for some quick scouting before sunset. 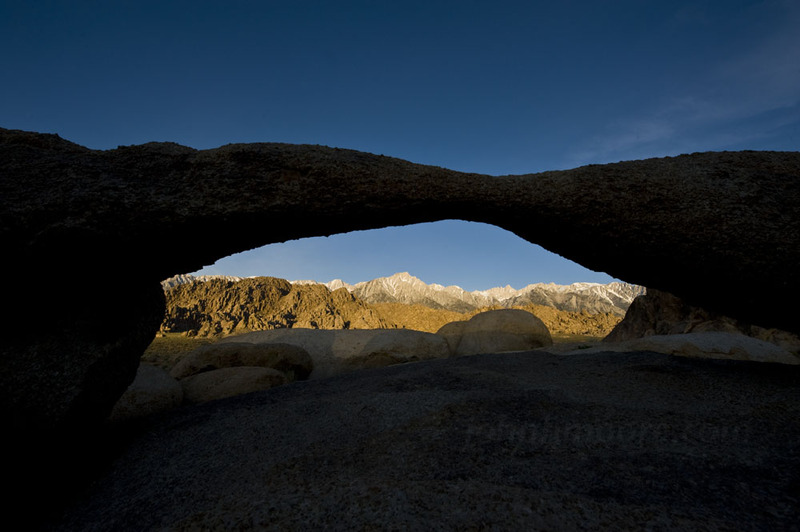 Alabama Hills is known for its rock arches and I wanted to find a south or southeast facing arch that I could frame the Milky Way in. 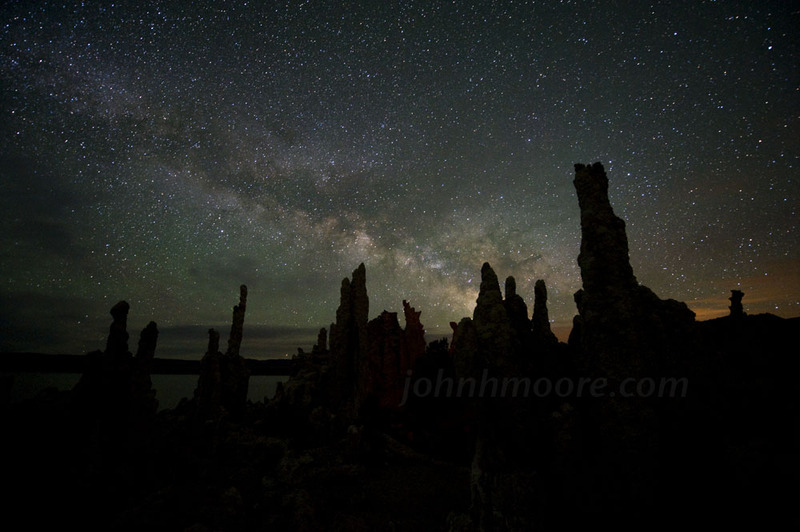 Stopped off at Subway for a quick dinner and then heard from Jeff Sullivan that he was going to be at Mono Lake that night, then Alabama Hills the next night… the exact opposite of my plan. Having company is fun, so I jumped in the car and sped north as fast as I could to try to make it in time for sunset at Mono Lake, about another two hours drive north. I made it… without a speeding ticket! Sadly, sunset wasn’t photogenic. And the sky clouded up. NOT what we needed for night photography. 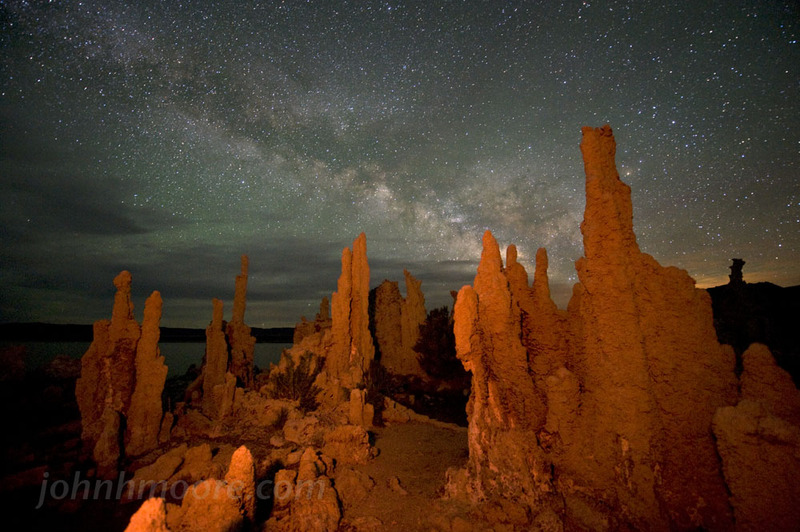 We stood around in the increasing cold (Mono Lake is at 6,400 feet) and watched the darkening sky… and the clouds began to dissipate! 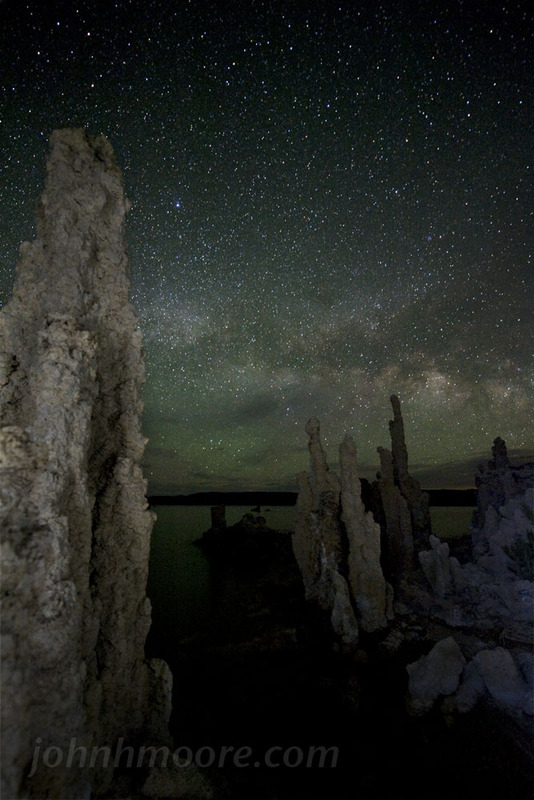 Had a crazy good session shooting the Milky Way behind the tufa formations at Mono Lake. Tufas are these incredible fingers of rock sticking out of the lake, that in fact used to not stick out of the lake. 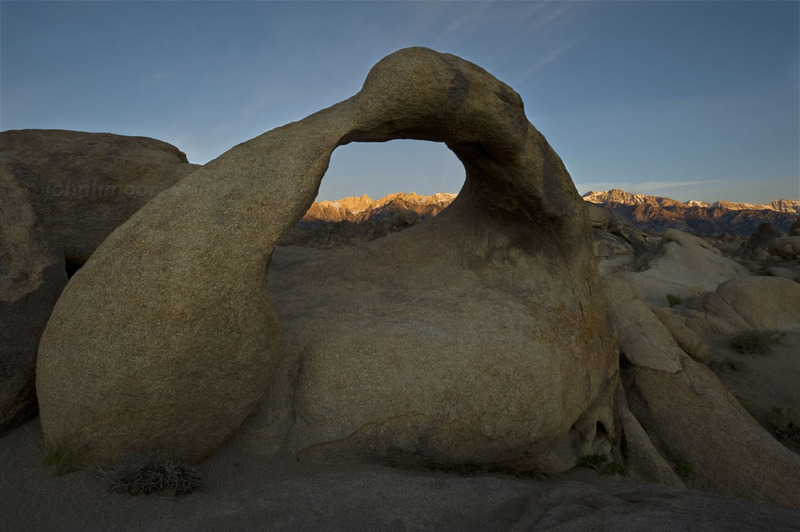 But since Los Angeles steals all the water from this region, the lake water level is some 35-40 feet lower than it used to be and these rock formations are now above water. 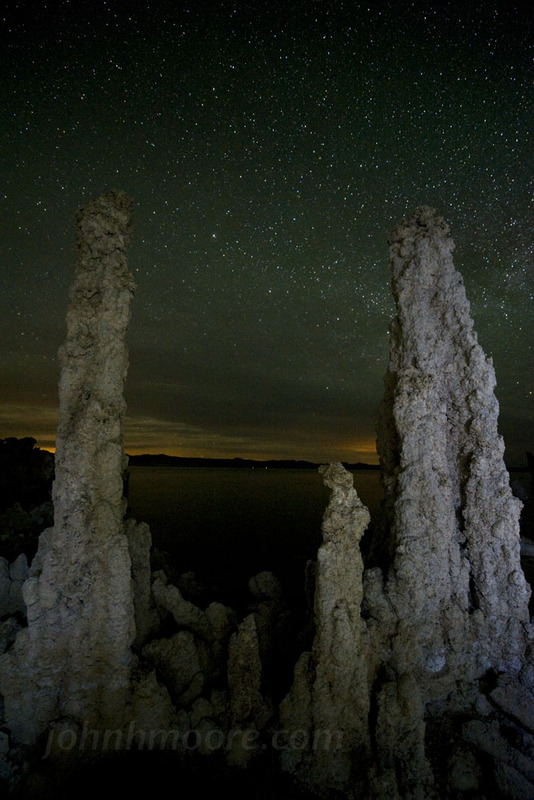 They’re calcium carbonate that forms from the interaction of natural springs beneath the lake and the alkali lake water. By court order, Los Angeles needs to stop stealing quite so much water from the region and restore this lake to higher water levels, so these amazing structures will again disappear from view. Enjoy them now! By 12:30 AM, it was 32 degrees and I was wearing every stitch of clothing that I had! Not sure if my sleeping bag would have handled the probable-mid-20’s that we would have seen by sunrise, so I figured I’d head south a bit for lower elevations before grabbing some sleep. 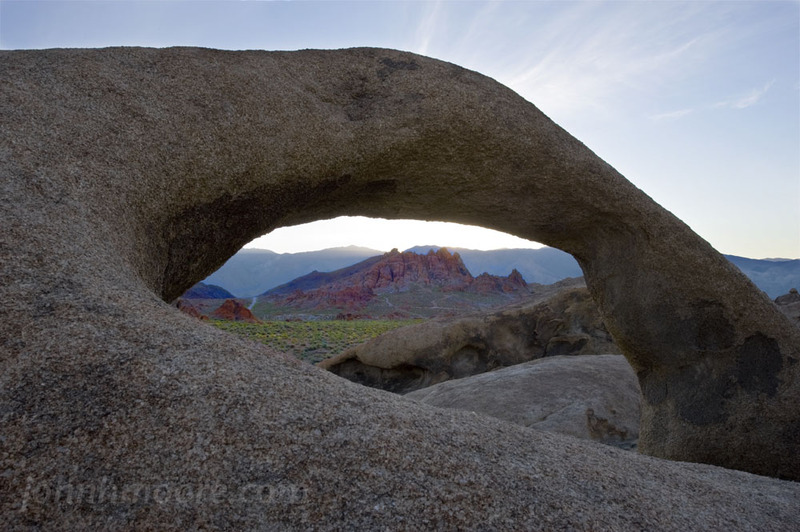 And once I was on the road, I just kept going… figured that the weather forecast was better for Friday morning than for Saturday morning, so I might as well do sunrise Friday morning in Alabama hills. I got there at 2:30 AM and got situated, and was asleep by about 3:00 AM in the backseat of my car. Not terribly comfortable, but beat setting up a tent at that hour! I awoke at 5:00 AM and realized that (a) I’d locked myself inside the car, and (b) I had recently lost the little lock/unlock keychain fob thingy (what are they called??) for my car, and (c) if you unlock the car from the inside or start the car without first unlocking it with the fob thingy, the alarm goes off. Oh, and (d) I didn’t know how to turn the alarm off without the fob thingy once it was triggered. 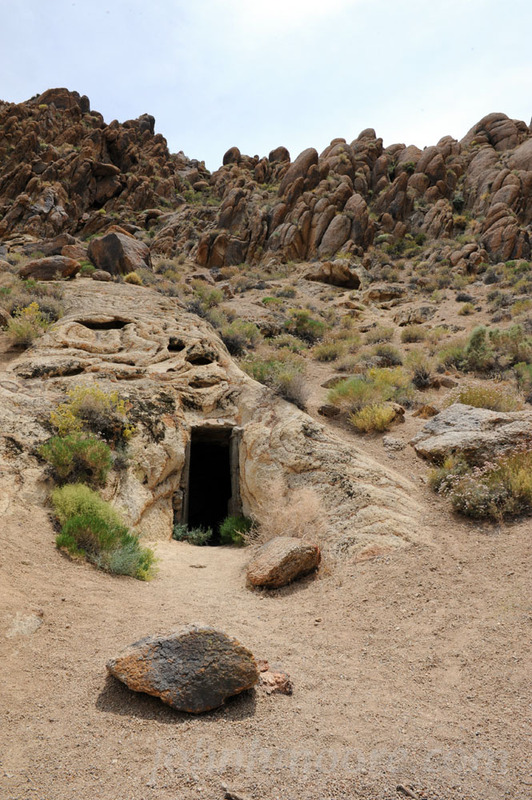 So, yes, I’m the jerk whose car alarm went off and off at 5:00 near several people camped at Alabama Hills. Finally figured out how to turn it off. Sunrise was beautiful, but then the weather went to crap. 30+ MPH winds and completely overcast, hazy sky. Forecast wasn’t encouraging. A night in a tent in high winds, after only two hours of sleep the night before, wasn’t appealing. So instead of being optimistic and waiting for sunset to see if a miracle occurred and it cleared, I packed it in and headed south to San Diego. 30 hours, 900 miles, and 2 hours of sleep. Oh, and a couple good photos! Click the first thumbnail to view the photos larger. This entry was posted on June 4, 2011. It was filed under Nature. BEAUTIFUL! 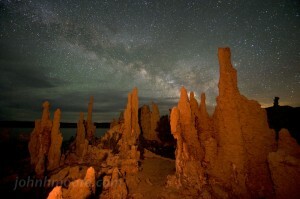 Love the Milk Way behind Mono Lake tufas.